Wahl Guillotine Claw Clipper is a high quality grooming tool that is suitable for all breeds of dogs. The spring action makes for an easy high precision claw clipper which is simple to use. Keeping your pet's claws trimmed is important and should be treated as part of their regular grooming. 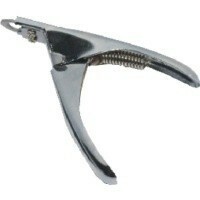 This claw clipper is brilliant, especially for the price. I love the fact that it covers all breeds making it easier if you have dogs of different sizes.